One of my goals in 2019 is to get back to basics. I feel like I've succumbed to lifestyle inflation, so I'm taking the time to track my money in detail (using my fave tool: Quicken 2007 for Mac) in an attempt to identify problem areas. When I find money leaks, I need to decide whether to eliminate them or accept them. While I'm skeptical that sharing my monthly spending report has any real value — and it invites unnecessary judgment (I'm already judging myself!) — popular opinion from GRS readers seems to be: Do it! You folks like looking at my struggles with money haha. So, here's a quick look at how I spent my money in February — the good, the bad, and the ugly. In January, I spent $4819.27 to support my lifestyle. In February, I spent $4556.49, a decline of $250. I spent $726.00 on food in February, up $24.99 from January. Of this, $146.41 was spent on dining out, which is extremely low for me. I spent $373.31 on groceries and $189.75 on HelloFresh. (For more info, see my recent write-up of two months with HelloFresh.) In 2018, I averaged $1038.03 per month on food (and spent $1104.97 in February of last year), so I'm happy with the decline so far in 2019. I'd like to see this drop even more, though. In January, I spent $326.08 on sin, a category I use to track how much I spend on alcohol, tobacco, and marijuana. (Pot is legal in Oregon. I don't often use it recreationally, but I use it nearly every night to help me sleep. A couple of times per year, I buy cigars and/or clove cigarettes.) In February, my spending on sin dropped to $117.15. This is primarily because I went four weeks without touching a drop off alcohol. And since I resumed drinking, I've been much more moderate in my consumption. As I mentioned at the end of the year, the iTunes store is a dangerous spot for me. I have a tendency to browse and buy a lot of movies. In January, I spent only $3.99 on the iTunes store. Last month, I spent only $39.94. That two-month total of $43.93 is far below the $356.33 I spent at iTunes during the first two months of 2018. Progress! In January, I had $1034.40 of one-time expenses. At the time, I worried that every month would have one-time expenses. That's still a worry. In February, I spent $376.80 to replace the bald tires on my new 1993 Toyota pickup. I also spent $1340 to renew our subscription to Broadway Across America (two tickets for seven shows throughout the year). Despite spending $4556.49 in February, my net worth increased by $24,276.77 (or 1.78%) — and that's after a 2.29% increase in January. My net worth has grown $54,894.68 (or 4.11%) during the first two months of 2019. I wish I could say my increase in wealth has come because I'm so damn smart, but that's just not the case. All credit goes to gains in the stock market. If we enter a rocky patch — or worse, a recession — my net worth is going to fall fast. When that happens, I want to be ready to cut spending, if necessary. After two months of updating Quicken daily, I'm noticing some patterns. For example, my spending falls into four broad categories. Fixed expenses (such as pets, insurance, and utilities) come to roughly $1100 per month. Variable spending on necessities (such as food, haircuts, and home + car repairs) comes to about $1200 per month. Variable spending on luxuries (such as books, sin, and the hot tub) comes to about $700 per month. One-time expenses (new pickup, theater tickets, and the like) are totaling about $1500 per month. I consider roughly half of my spending to be necessary; the other half is (mostly) indulgent. Variable spending on luxuries is by definition an indulgence. I could absolutely cut these costs, if needed. And, in fact, I have my eye on some of these. Finally, the one-time expenses are a mixed bag. Some, like the 1993 Toyota pickup, are necessities (or close to necessities). Others, like the theater tickets, are absolute luxuries. I suspect that I'll want to re-evaluate some of my one-time expenses by the time the year is over. Some are more like annual expenses than “one-time” expenses, and I'd probably profit from determining which to continue…and which to cancel. 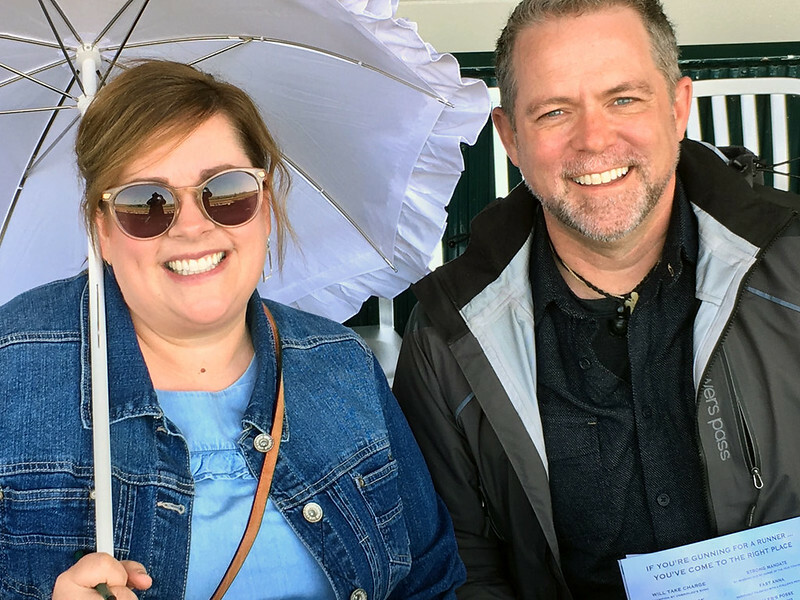 Kim and I enjoy our theater excursions and our Portland Timbers season tickets, but if we truly want to cut costs, some of these indulgences may have to go. We'll see. For now, I'm content tracking them and flagging them for future discussion. "How I excelled at my job and moved up faster than others." "How I made $39,000 on Wheel of Fortune." "I took a step down the career ladder — and I've never been happier." As an adult, my heroes are more mundane. They're the people who make personal finance accessible to average people. Long-time readers know that billionaire investor Warren Buffett is one of my heroes. So too is Dave Ramsey, who has helped countless people — including me — get out of debt. But perhaps my biggest hero is an unassuming 73-year-old woman in cat-eye glasses who lives on Whidbey Island in Washington's Puget Sound. Today, in 2019, I'm awe-struck to actually be exchanging email with Vicki Robin, discussing the past, present, and future of financial independence. And this week, when she came to Portland, I not only got to hear her speak in person, but also got to treat her to dinner. Last night, Douglas Tsoi, founder of the Portland Underground Graduate School and the School of Financial Freedom, hosted a talk from Vicki Robin. A few dozen money nerds — including some GRS readers (Hi, Scott! Hi, Brandon!) — gathered to hear Robin's thoughts about financial independence. For the sake of clarity, I've taken some liberties in what follows. I haven't changed any of Robin's ideas, but I've shifted some topics and quotes in order to create a smoother, more coherent flow for the blog. I've treated Robin's Q&A responses, for instance, as if they're part of the main talk. A real journalist would be mortified. I am not a real journalist. Some folks in the audience were unfamiliar with Your Money or Your Life, so Robin started by briefly recapping the book's message. The goal of Your Money or Your Life, Robin says, is to transform your relationship with money in order to liberate your most precious resource, time. 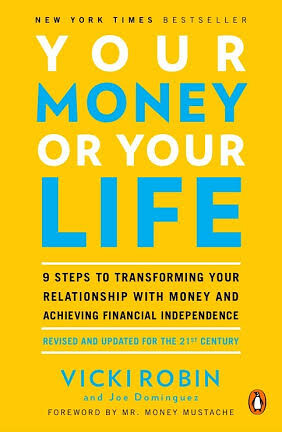 The book's nine-step program is meant to help readers track the flow of money and stuff in their lives, guided by both self-interest (“does it work for me?”) and higher values (“does it work for the world?”). It's natural that we act in our own self-interest. If we aren't right with ourselves, it's tough be of service to others. But Robin worries that too many people get stuck in the self-interest side of things and never move beyond that, never see how achieving financial independence gives them the freedom to leave a lasting, positive impression on the world. When I published my first HelloFresh review last June, I liked the popular meal-delivery service. Kim's employer had given us a one-week free trial. The three recipes we received were fun and tasty. In the end, we chose not to sign up with HelloFresh but resolved to remember it for the future. At the end of 2018, as I was evaluating my spending patterns, I was shocked by how much I was spending on food. It's embarrassing to show the following numbers, but facts are facts and truth is truth. I was spending over $1100 per month on food. In November 2018, the National Bureau of Economic Research published a paper called “Saving Regret” [here's the full PDF version]. Once you wade through the study's academic language, there's some interesting stuff here about why people do and don't save for retirement. 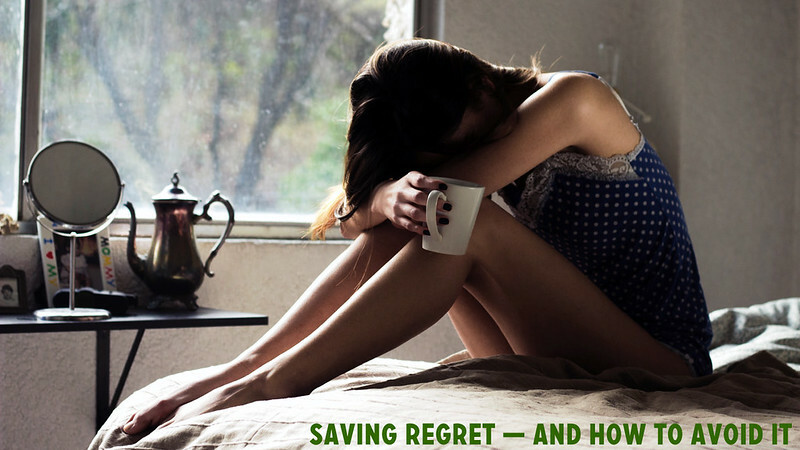 Saving regret, the authors say, is “the wish in hindsight to have saved more earlier in life”. Obviously, you can suffer from saving regret at any age. When I met 31-year-old Debbie for dinner last week, her issues boiled down to saving regret. She wishes she'd saved more when she was younger. But for the purposes of this paper, the authors turned their attention to folks aged 60 to 79, people of traditional retirement age. But what causes saving regret in the first place? Why don't people save more? Let's take a look at what the study found. “We found only modest evidence for a relationship between our measures of procrastination and the desire to re-optimize saving.” Yes, procrastination is a factor in saving regret. But it's not as big as you might expect. Failure to anticipate negative shocks — underestimating their probability and effects — has a greater effect on saving regret. Overall, “a substantial percentage of respondents view their economic preparation to be adequate, yet they nonetheless express saving regret.” In other words, as many GRS have experienced, even when you think you have enough saved, you often wish you had more. Inflation is the silent killer of wealth. Year after year, the purchasing power of your dollar (or pound or euro or yen) gradually erodes. My father was one of those “hide money under your mattress” type folks because he believed that was the best way to keep his cash safe. He was wrong. If you sit on your money, it doesn't maintain its value. It loses value. 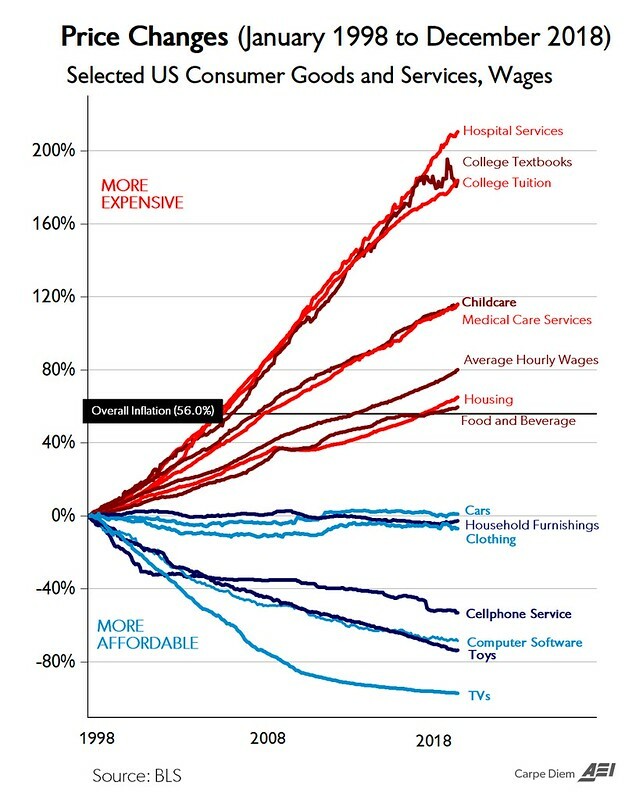 At his Carpe Diem blog, economics professor Mark Perry recently published a new version of the following chart, which visualizes the effects of inflation on certain consumer goods and services. During the most recent 21-year period from January 1998 to December 2018, the CPI for All Items increased by exactly 56.0% and the chart displays the relative price increases over that time period for 14 selected consumer goods and services, and for average hourly earnings (wages). Seven of those goods and services have increased more than average inflation…The other seven price series have declined since January 1998. In the chart, the black line indicates average inflation over the past 21 years. Red lines indicate items that have increased in price at rate faster than inflation; blue lines have decreased in price relative to inflation. I believe these responses are overly simplistic. Besides, they miss the really interesting stuff. For instance, look at the price of televisions. According to the CPI, the price of TVs has declined 97% in the past 21 years. I think we all know that's not actually the case. TVs have grown more expensive, along with most everything else. So, why does the data state otherwise? A fundamental problem for the goods and services in the CPI sample is that their characteristics, not just their prices, change over time as the retailers introduce new versions of items and discontinue the older versions. In many categories of items, this is the primary time when price change occurs. The new version of the item may provide additional benefits or, in some cases, reduced benefits. This change in benefit is quality change. To measure price change accurately, the CPI must be able to distinguish the portion of price change due to this quality change. To compensate, the CPI uses a technique called “hedonic quality adjustment”. As new features are added to existing products, economists attempt to model what the new features are worth if broken down to their constituent parts. In 1998, your television was a boxy beast. In 2018, it's probably a big, slim wall-mounted display with dozens of nifty features. Each one of those features has a value that gets included in the inflation calculations. If you could have purchased a modern TV in 1998, it would have cost a small fortune. And in 2018, an old CRT TV would only cost a fraction of what it did back then. It's also interesting to note that the cost of manufactured goods (like cars, toys, and TVs) has declined more than the cost of services (such as medical care and education). I'm not sure why this is the case, but it's true. When I look at this chart, I see something else. It appears to me that those things that are most useful or most necessary have had the highest price increases. Those things that are least necessary have seen the biggest price drops. If I had more time, I'd dig deeper into the data to see if this is actually the case. Inflation statistics are one thing. Actual experience is another. When Kim and I complain about prices, food is what bugs us most. Nowadays, dinner in an average restaurant runs about fifty bucks. That would have bought a fancy dinner in 1998. Even my standard two cheeseburger meal at McDonald's costs more than $5 now. (I don't get it very often, but it seems like it should cost $3.) Groceries show similar increases. Meanwhile, clothing seems cheaper to me than it did two decades ago. (And I say this as a guy who used to shop at thrift stores!) Now that we're preparing to buy a new car, vehicle prices don't seem that bad — at least not for the low-end models we're considering. As a final note, I'm puzzled by the items the chart chooses to track. They seem arbitrary. Why show toys and televisions but not energy or transportation? Why, specifically, cell phones? Why not entertainment and recreation? And so on. Last night, as I do from time to time, I met with a GRS reader. Actually, Debbie doesn't read this site but her sister does. And Debbie means to. Although I met Debbie's sister last year at a Camp FI event, I'd never met Debbie before. “Those are both good books,” I said. Then, I shifted gears. “This might seem odd, but let's talk about your goals. What do you want out of life? What are your big plans?” Our waiter brought Debbie a bowl of mussels and me a plate of pasta. Debbie nodded. I slurped down some noodles. “How much is your rent?” I asked. “Just over $2000 per month,” Debbie said. “I like where I live,” Debbie said, prying open a mussel. “Why don't you quit?” I asked. “You do?” Debbie said. She seemed surprised. 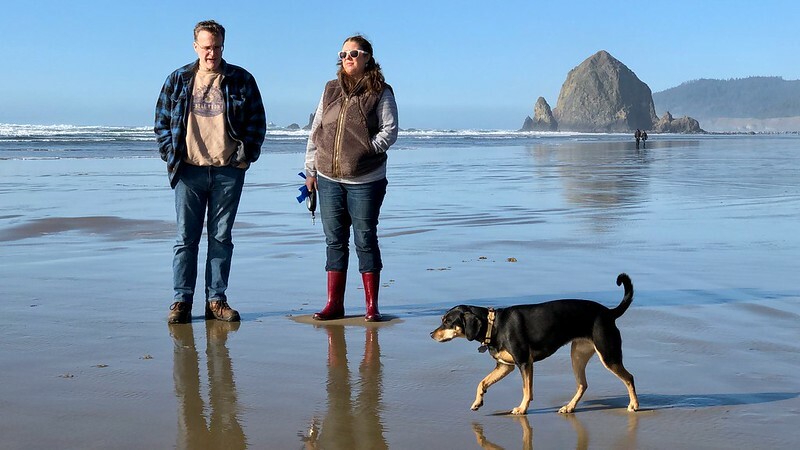 Yesterday, Kim and I joined my cousins for an afternoon trip to the Oregon Coast. Our aim was to harvest a bounty of clams. We came home with zero. We managed, however, to harvest a bounty of mussels. Plus, the dog had fun. My cousin Duane carpooled with us to and from the beach. We rode in Kim's car: a 1997 Honda Accord that's showing signs of its age. “Well, I can't turn down the air,” Kim said. “It's stuck on high. But I can turn down the temperature.” She laughed as she demonstrated that the knob for the air volume has broken off at the post. The vents now permanently blow at full force. “This car is falling to pieces,” I said. “Literally.” As if to prove my point, a bit of molding fell from a roof handle. I picked it up and wedged it back into place. 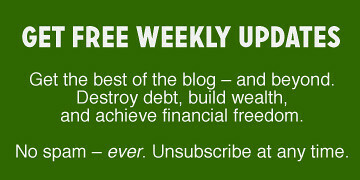 Last week, I published an extended excerpt from Grant Sabatier's new book, Financial Freedom. Sabatier's core message is that time is more valuable than money — and that freedom is more valuable than time. Several GRS readers took issue with the book's seemingly anti-work tone. “There is a lot of talk about the drudgery of work; [I'm] pretty lucky [that] I love my job and have a lot of autonomy,” wrote Angelica. Much of the financial independence and early retirement messaging comes off as anti-work. While this appeals to some folks, it repels others. Not everybody hates their jobs. In fact, some people truly enjoy what they do. 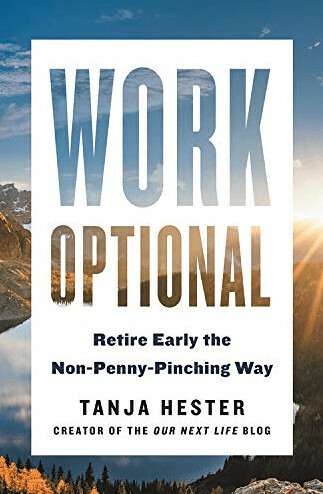 If you love your job but are still interested in what the FIRE movement has to offer, you should take a look at Tanja Hester's new book, Work Optional, which was released today. It's a solid addition to anyone's personal finance library, with a core philosophy very much aligned with the one I espouse here at Get Rich Slowly. Best of all? As you might guess from the book's title, Hester doesn't pretend that work is a cage that we all want to escape. For those unfamiliar, Hester is the braniac behind the popular Our Next Life blog and The Fairer Cents podcast. She's also an all-around cool cat. Hester says that Work Optional is about “reclaiming your life from our nonstop work culture so that you decide what role work will play in your life, instead of society deciding for you”. She truly wants to help readers find ways to make work optional, an activity they can do or not do as they see fit. Because of the book's title and because its message is not anti-work, I had high hopes that Hester would spend more time exploring this concept, re-framing of early retirement and/or financial independence in a new way. I love the notion that we can reach a point at which work is optional. And make no mistake: Much of this book is indeed about constructing a life in which work isn't necessary. The problem, however, is that Work Optional tries to tackle two themes at once. Is the book's subject early retirement? Or is the book's subject its stated thesis: creating a work-optional life? There's plenty of overlap between these two topics, sure, but they're not the same thing. Look at it this way. I've written before about the stages of financial independence. Early retirement is the fourth or fifth stage of financial freedom, the point at which you have enough money to support yourself for the rest of your life. Hester's “work optional” point, however, is more like the third stage of financial freedom, at which you could quit your job without a moment of hesitation. In other words, you can reach the work optional stage without ever reaching early retirement. Many people do. You know how sometimes you let chores and errands and obligations pile up until there's nothing left but to ignore what you want to do and take time to actually do what needs to be done? Yeah, well that's what the past week has been like for me. I've spent most of my waking hours cleaning and repairing the house, driving around Portland to take care of troublesome tasks, and calling companies (and government agencies) to close accounts and/or clarify questions. 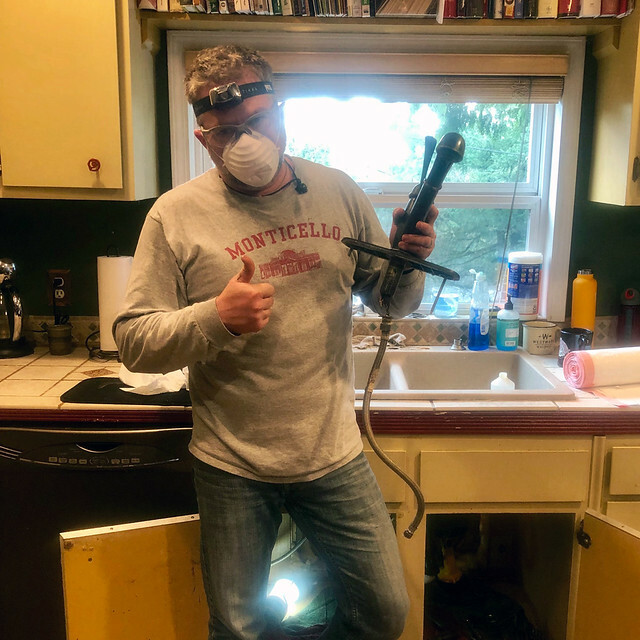 This includes six hours I devoted to replacing the kitchen faucet. Ugh. All this is to say: I haven't had time to work much on Get Rich Slowly during the past seven days. That said, I have been diligently tracking my expenses. As I mentioned at the start of the year, one of my goals in 2019 is to get back to basics. I'd grown complacent over the past few years. I'd succumbed to lifestyle inflation. I want to cut back on expenditures large and small this year to bring my budget more into balance. Let's see how I did. I spent $701.01 on food in January. Of this, $211.63 was spent on dining out, $346.63 was spent on groceries, and $137.77 was spent on HelloFresh. (The final $8.98 was spent on junk food. I track how much I spend on buying crap at gas stations and convenience stores.) Last year, I averaged $1038.03 per month on food, so this is a delicious decline of 32.5% from that level. Nooice! My hope is that I can cut this even more. Even with the drop, this is way way high. I spent a lot on health and fitness in January. Much of this was spent to purchase a new indoor bike trainer — a stand on which I can place my road bike so that I can ride it in the house. I also bought a new yoga mat, etc. The pets cost us $186.63 in January. Hmmm. I didn't know they were this expensive. Seriously, I haven't been paying attention to how much our zoo costs us. What really surprises me is that our three cats cost more than the dog! I spent $326.08 on “sin” spending in January. That's way too much. I track how much I spend on alcohol and marijuana. (Pot is legal in Oregon, remember. I don't often use it recreationally but I do use it for sleep almost every night.) As I'll probably write about in the near future, my alcohol spending should decrease sharply in coming months. I've decided that I have a problem and I want to change when and how I drink. If we ignore the Get Rich Slowly cash infusion, I still spent $4819.27 last month. That's about $1000 more than I wanted to spend. Looking through my list of expenses line by line, I actually see $1034.40 of one-time expenses. So, in theory, next month my spending should be under $4000. In theory. The problem is that I suspect other one-time expenses will arise. I have this sneaking suspicion that I'm constantly rationalizing “one-time” purchases…as if there should be a $1000/month line-item just for “one-time” expenses. I hope not. But I suspect it's true. Last month, my net worth increased by $30,617.91 (or 2.29%). That's amazing! This was all because the stock market was on a tear, though. The gains aren't due to any acumen on my part. My goal for the first quarter of 2019 is to become more mindful about my spending. Sure, I want to slash what I can, but my main aim is to be aware of where my money goes, to track it diligently so that I can make appropriate changes going forward. I doubt I'll post a spending update every month — I'm not sure there's much value in these for anyone other than myself — but I'll publish a few throughout the year. If all goes according to plan, by the end of December I'll have broken some bad habits and built some better ones! Join me in Portugal for a one-week chautauqua about money and life! In 2013, I traveled to Ecuador for a sort of experiment. Host Cheryl Reed and mastermind Jim (J.L.) Collins had organized a chautauqua, a gathering of two dozen folks who wanted to discuss financial independence, early retirement, and finding purpose. My pal Pete Adeney (better known as Mr. Money Mustache) and I joined Jim and Cheryl as presenters. We spent a week at a centuries-old hacienda talking about money and life. 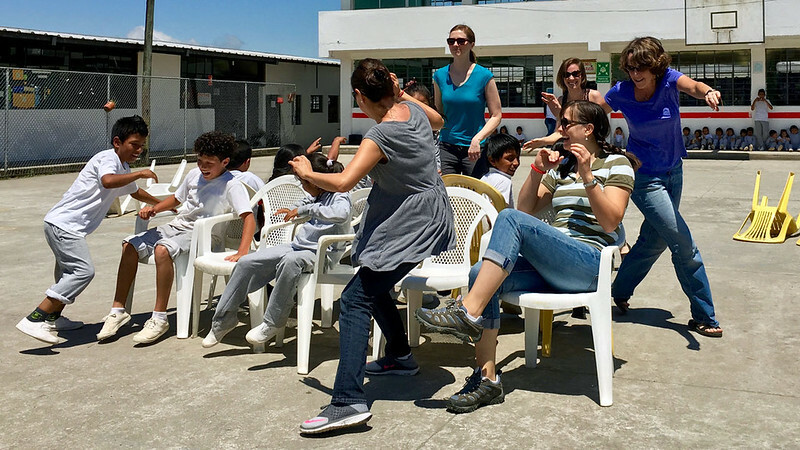 In 2016, David and I returned for yet another Ecuador chautauqua. This time, we were joined by Leo Babauta from Zen Habits. Once again, the experience was incredible. This group bonded as a family — warts and all — more than any chautauqua before or since. We bonded so much, in fact, that most of us came together for a reunion in Salt Lake City this past November. We have an ongoing group video chat where we're in constant communication, and we hope to get together often in the future. As you might have guessed, all of this is prelude to an announcement: I'm pleased to report that I'll be returning as a speaker for Chautauqua 2019. From September 28th to October 5th, I'll be in Portugal's Douro Valley presenting on leading a purpose-filled life. It's not just me, of course. Other presenters include founder Jim Collins, Kristy and Bryce from Millennial Revolution, and Alan Donegan, founder of PopUp Business School. And it's not just this week. There are three additional European chautauqua to choose form this year. For new readers, this whole idea might seem a little strange. A bunch of people get together in a foreign country to talk about money? Are the speakers selling time shares? Is this some sort of scam? No, it's not a scam. No, we're not selling time shares. No, this isn't some ploy to get blog readers to pay for fancy vacations. These events are just what I've said: A chance for like-minded folks to get together to explore financial independence, early retirement, and living with purpose. After you register and pay for your ticket, you're responsible for booking your transportation to and from the destination city. Everything else is included in the price of the ticket. When the time arrives, you'll gather with 25-30 other attendees at whichever incredible venue you've selected. For an entire week, we — attendees and presenters — live together as a family. We eat, sleep, think, and party together. We attend off-site adventures together. Most of all, we talk about money together. During the week, each presenter will share a two- to three-hour talk. (Mine will be on finding purpose and happiness, of course.) 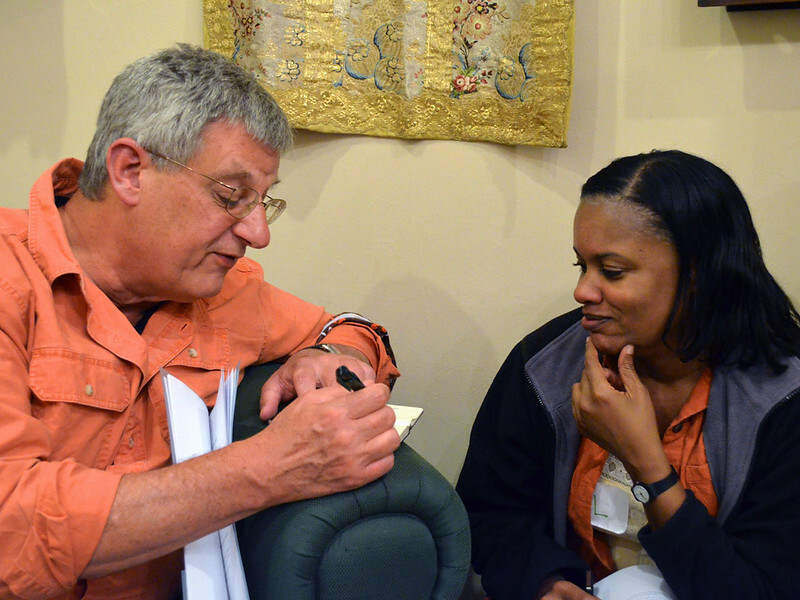 Attendees also get an hour-long meeting with one of the presenters. If this sounds like something you'd be interested in, you should book your chautauqua ticket now, whether it's to join me in Portugal or to attend any of the other gatherings. I say this because tickets were announced a few days ago and they're already selling out. (In fact, there are only a handful of tickets left for Portugal!) Update: I just got word that both weeks in Portugal have sold out and that the two U.K. chautauquas are selling briskly. Note: If you don't want to hang out with me and/or my week is sold out, consider the U.K. chautauquas in June. Each event features Jim Collins, those Canadian kids from Millennial Revolution, and the debonair Alan Donegan. The first week (June 8th to June 15th) includes my buddy Carl from 1500 Days (and his dinosaur sidekicks). The second week includes Jillian from Montana Money Adventure, who is perhaps the nicest person on Earth. I'd be remiss if I didn't point out related events for those who are unable (or unwilling) to attend a European chautauqua. First up, this year's chautauqua in Ecuador — which is now a wholly different beast than the European chautauqua events — runs from November 2nd to 9th and features Vicki Robin (Your Money or Your Life), Paula Pant (Afford Anything), and Tanja Hester (Our Next Life). Last I heard, there were only a few tickets left. Although it's not official, Mr. Money Mustache and I have been kicking around the idea of hosting a chautauqua in Ecuador in 2020 — possibly with David Cain from Raptitude. It's unlikely we'll make a decision for many months yet, but keep it in mind. Finally, don't overlook the weekend-long Camp FI and Camp Mustache events held across the United States and Canada. These retreats are larger than the chautauquas (50-80 people attend) and much more casual. They're also much cheaper. I've been to several in the past two years. This year, I'll be presenting at Camp FI: Southwest from October 11th to October 14th. Come join me in Joshua Tree, California! I'll also be attending Fincon in Washington D.C. in early September. Plus, as always, I'm happy to meet readers for beer or coffee when they're passing through Portland. I do this a couple of times each month and it's always fun. If you're in town and want to chat, let me know! camp fi/ chautauquas/ events/ meet J.D.